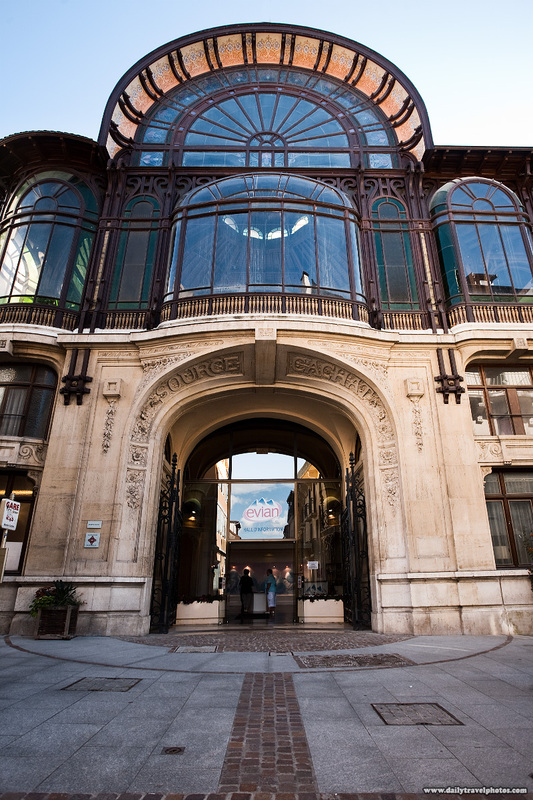 Source Cachat, protected collection point of world-famous Evian mineral water. The museum at Source Cachat educates people about Evian water's enchanting story: Rain and snow fall on the pristine mountains and plateaus of the French Alps. Over the course of years, the same water droplets trickle down the unique layers of underground aquifers that give Evian spring water its mineral-rich content. Filtered naturally under perfectly unpolluted conditions, these purified water droplets ultimately find their way to Souce Cachat (pictured above) at the southern edge of Lake Geneva. The informative Evian museum nearly had me fooled into believing one liter of their mineral water was, indeed, worth the €2.50 (US$3.28) they charge. Thanks but I prefer my "Evian water" direct from the public drinking fountains outside of Source Cachat, leaving me €2.50 richer to blow pn overpriced ice cream at the lake promenade.